Santa Claus is coming to Yorktown Sunday Dec 9th, 2018! 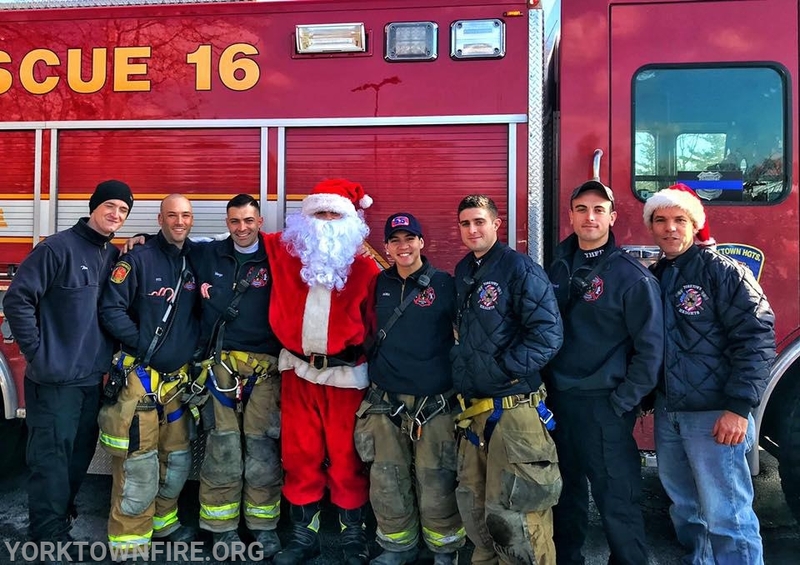 He, along with Yorktown's Volunteer Firefighters, will be headed out in the Yorktown Heights Fire District riding on the fire trucks to hand out candy canes for all! Please see the link below for Route locations and times. All route times are approximate, and we ask that everyone please congregate and meet at the assigned intersections posted not at individual houses, in order for Santa and his elves to keep to their schedule and to meet everyone time. Please be aware that all YHFD's units are all in service to respond to alarms. Should Santa not arrive on time, please be patient as he his assisting fire crews with responding to emergencies around town. Please subscribe to our Facebook page for up to date information regarding alarms that day, and Santa's progress!